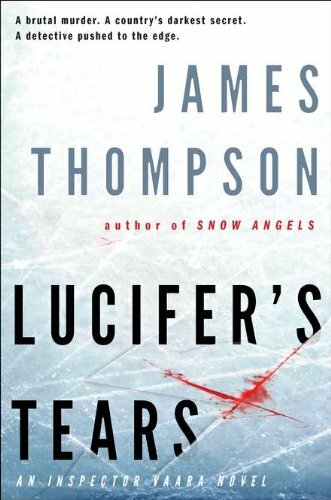 On the positive side, Lucifer's Tears (the second Kari Vaara novel by James Thompson) drew me in totally. The story, involving several threads that do and don't come together in the end, narrated by the guilt-ridden and troubled central character, moves quickly and kept me turning the pages all the way. On the other hand, by the end, I was a bit disappointed by several aspects of the book. Vaara is now in Helsinki, following the rural investigation of Snow Angels, a disaster that leaves him with chronic migraines and a constant fear that his now-pregnant wife will miscarry again. The book begins with a very gruesome case that serves mostly to introduce Vaara's new assistant, Milo, an inexperienced but intellectually arrogant young man, and to establish Vaara's low status in the murder squad, to which he'd been appointed at the conclusion of the Snow Angels case. Several mentions of Dante are pertinent to the setting and psychological state of the detective (and the title of the book): the central circle of Hell in The Inferno is frozen rather than boiling hot, an appropriate image for a cold winter in Helsinki and the human horrors that are going on there. The story really gets moving when the focus shifts to three other cases, the death of a Bettie Page lookalike who is a minor celebrity and the owner of a workout gym; a seemingly minor incident that causes Vaara to assault a young man who's harassing children; and a charge from the Interior Minister to cover up evidence that a national hero from the World War II era is actually a war criminal, implicated in the Holocaust. Along the way, we get a good (and interesting) dose of Finnish history, a subject of which most of the world is woefully ignorant. In addition, Vaara's American wife Kate announces that her brother and sister will be arriving to help her out before and after the end of her pregnancy. It's essential to the story that Vaara's in-laws are each in their distinctive way extremely annoying. But as a reader, I found them as annoying as Vaara, and by the end of the book they had begun to make the story as irritating as they were themselves. Thompson finds a unique way of bringing the threads of his story together, but the resolution has little to do with Vaara's investigation. In fact, Vaara and Milo discover a lot about the fitness guru and her husband, enough to know what was probably going on but not effetively enough to do much about with what they know. With Vaara suffering from those headaches constantly, dashing back and forth to help his wife and to deal with the disasters caused by his American visitors, and dealing with the politics of all his cases, there's really not all that much focus on any investigations. Shortly after finishing Lucifer's Tears, I started two very different books, Jake Needham's Killing Plato (newly available on Kindle, featuring Needham's Jack Shepherd character) and Luiz Alfredo Garcia-Roza's first novel, The Silence of the Rain (which I originally read 10 years ago). Both describe difficult situations and fraught families, but each in its own way is a calm and straightforward story (Plato a thriller anchored in the narrator-hero's personality, Rain a detailed and dogged investigation of what the police assume is a murder and the reader knows is a suicide). 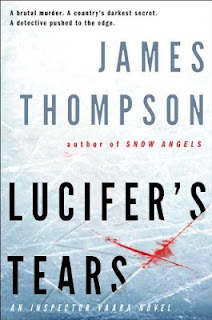 Each is tight and atmospheric, the stories complex but essentially coherent, and neither has the tortured central character of Lucifer's Tears. And I'm afraid I find Jack Shepherd and Garcia-Roza's Espinosa better company than Thompson's Vaara, and the stories more satisfying. Don't know why I was bored with the story involving the main character's grandfather, WWII and Finland. 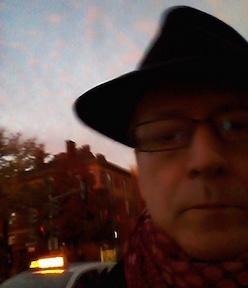 It reminded me of what Larsson did in his trilogy - reveal political corruption and expediency. That subplot detracted, for me, with the main mystery.